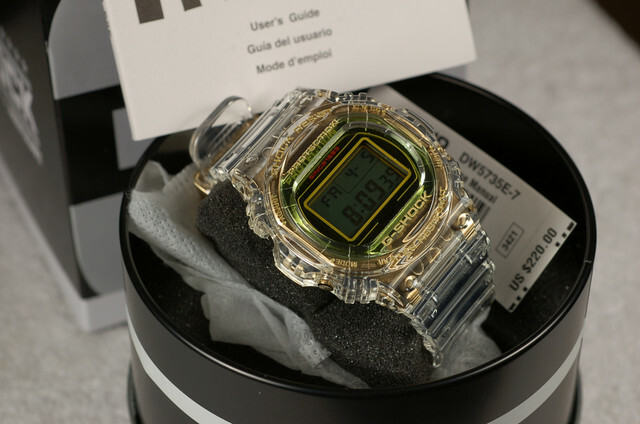 For sale is my Casio 35th anniversary of G-SHOCK (Ref # DW-5735E-7DR). 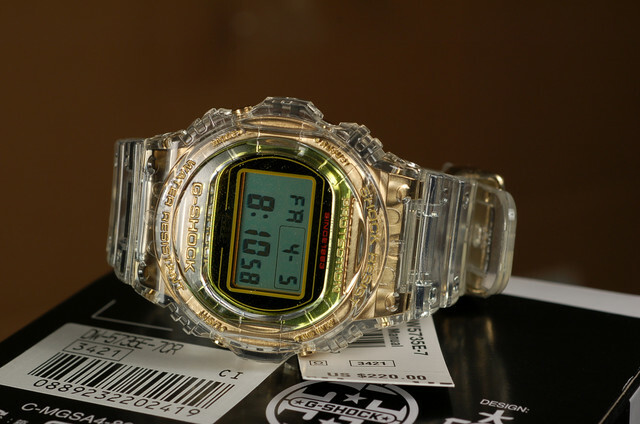 It is a 2018 Limited model digital skeleton gold version of G-SHOCK. This one is in 99% overall condition. The digital functions work exactly as it should be. Bought it for myself but just put it on my wrist once inside my house. My lost is your gain. Such a great opportunity to obtain this nice Casio in good price! This package includes the Casio with box & papers and booklet. My asking price is only $175 shipped. Ton of references upon request. Thanks for looking!